This is a handy little free plugin for Visual Studio. It will make VS display not only the name of the currently open project, but also the path to the project file (up to a certain level which can be defined). Very helpful when working with several instances of VS simultaneously. 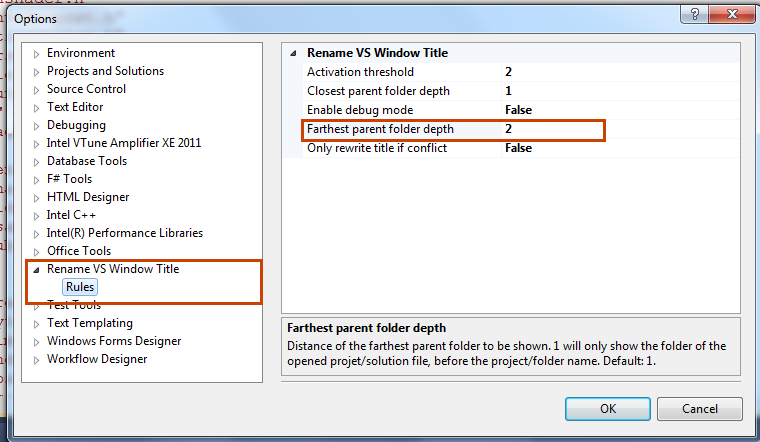 I recommend to set the Parent folder depth to 2.